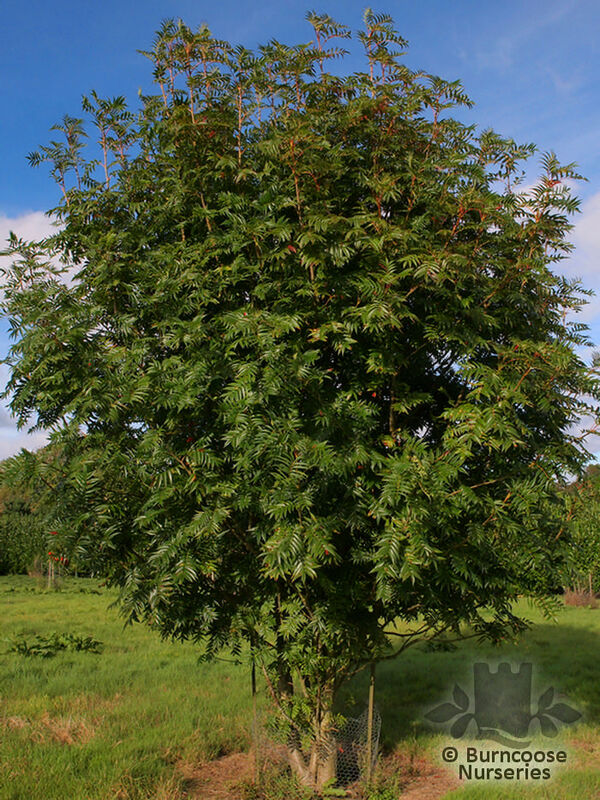 Genus of about 100 species of deciduous trees and shrubs, widely distributed in the northern hemisphere. 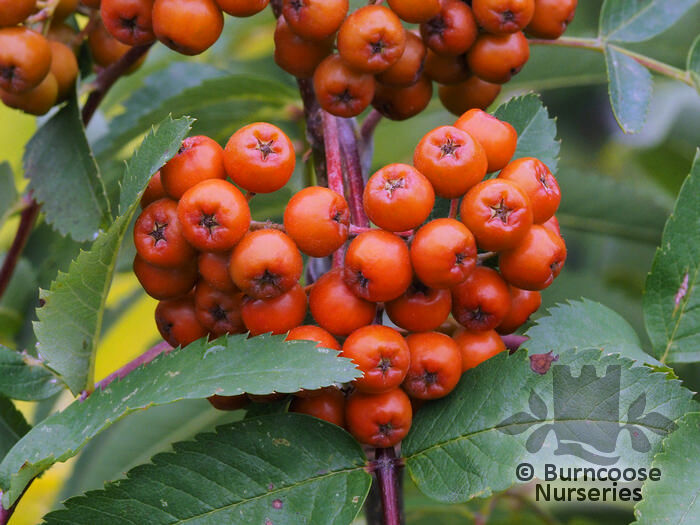 Vast range of attractive cultivars, most suited to small to average gardens and ideal in woodland settings. 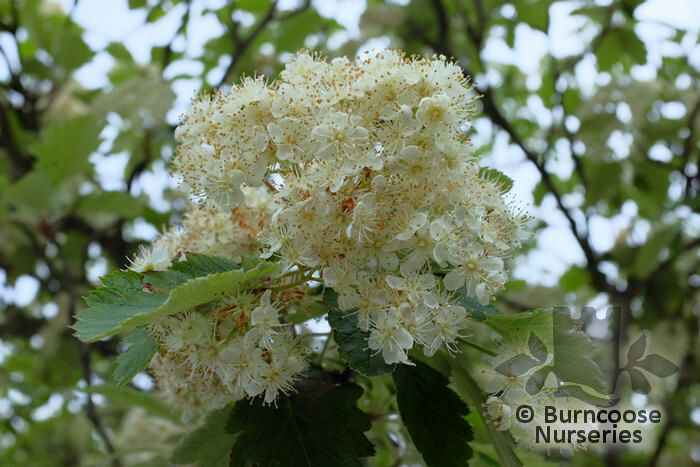 Includes the natives Mountain ash, aucuparia, the Whitebeam, aria and Wild service, torminalis. 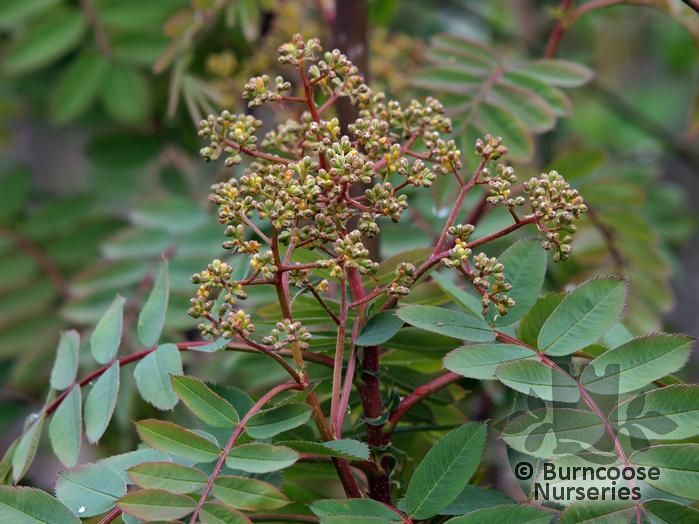 All are valued for leaf shape, flowers, berries and their benefit to insects and birds. 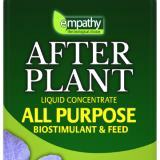 Tolerant of atmospheric pollution. 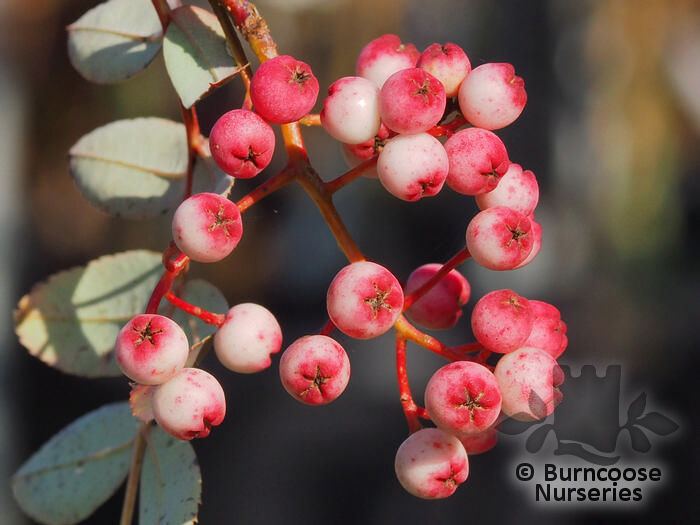 Additional Features	- Good to know - grown for ornamental leaves, large heads of flowers and berries which can be coloured white, yellow, orange, red or brown. 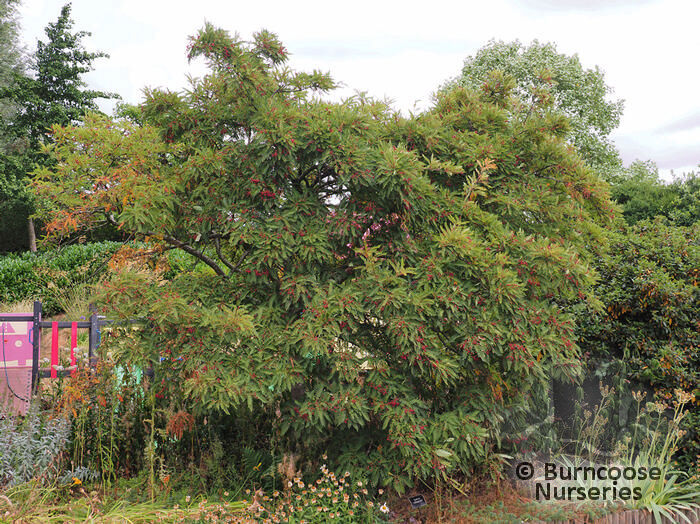 Ideal specimen tree in a small garden. 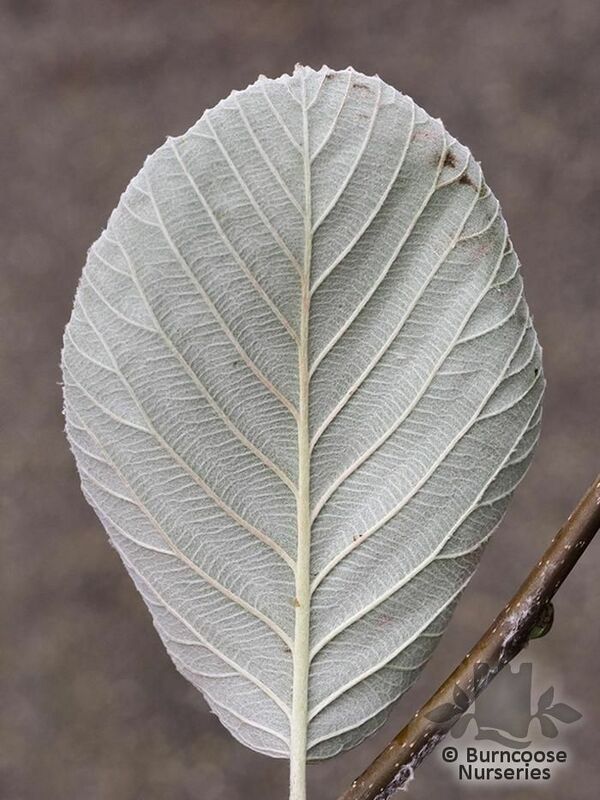 Wildlife plant - insects, birds. 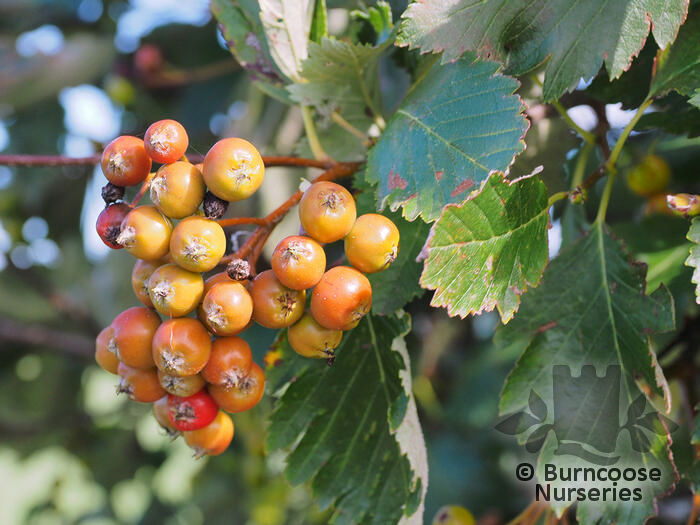 Pests & Diseases - aphids, sawfly larva, canker, honey fungus, fireblight. 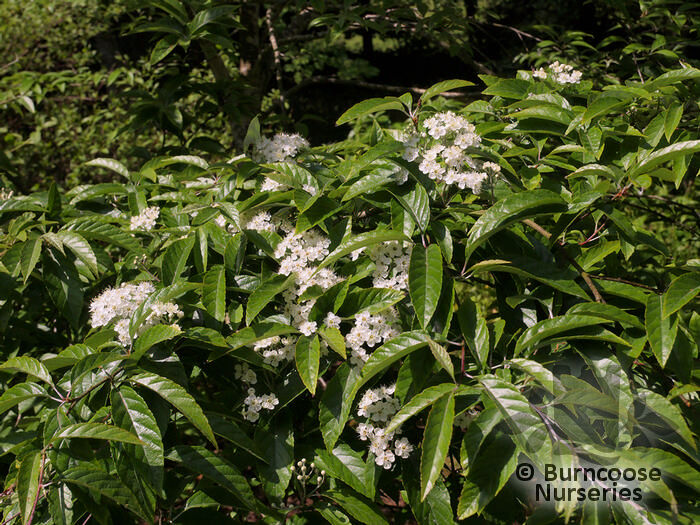 Is Scented Plant	- Scented flowers - musk-scented, best appreciated from a distance. 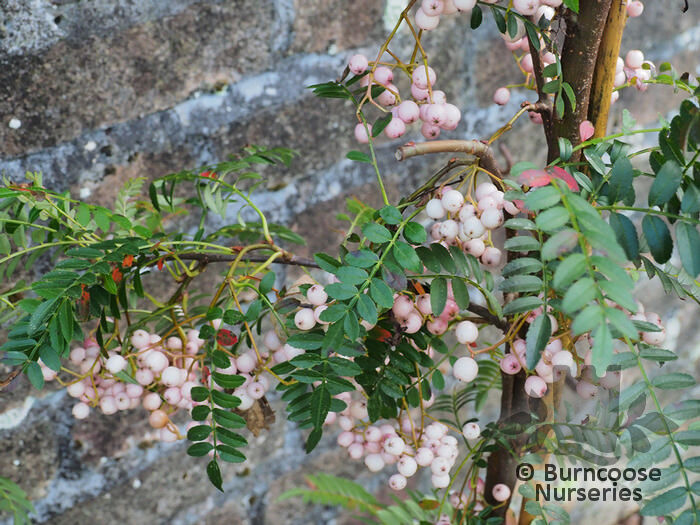 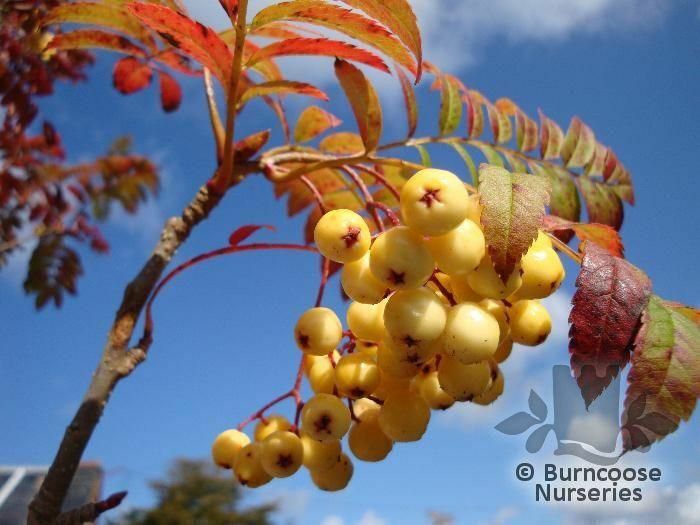 Commonly known as: Common mountain ash, Quicken tree, Rantry, Rowan. 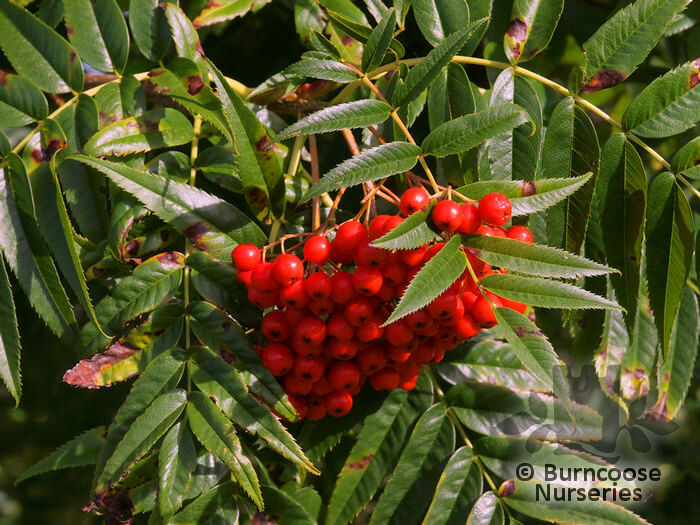 Commonly known as: Mountain ash, Rowan. 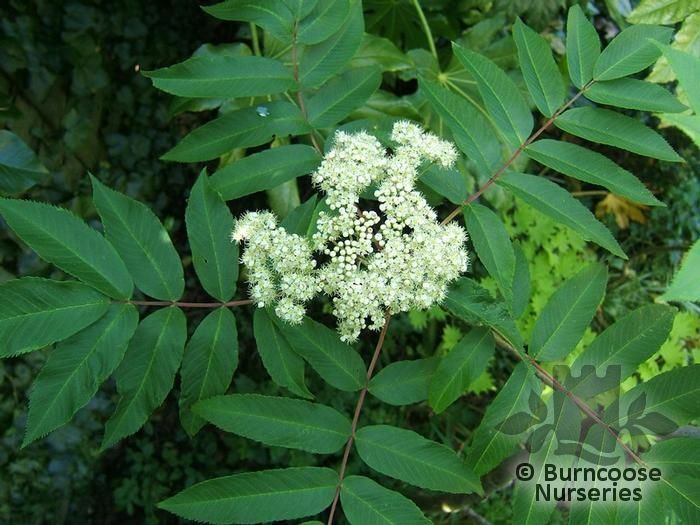 Commonly known as: Kashmir rowan. 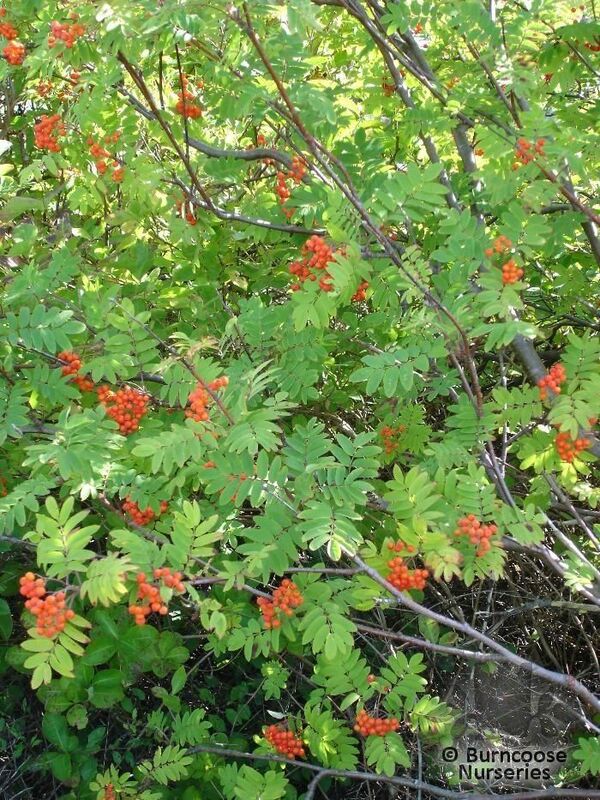 Commonly known as: Chinese scarlet rowan. 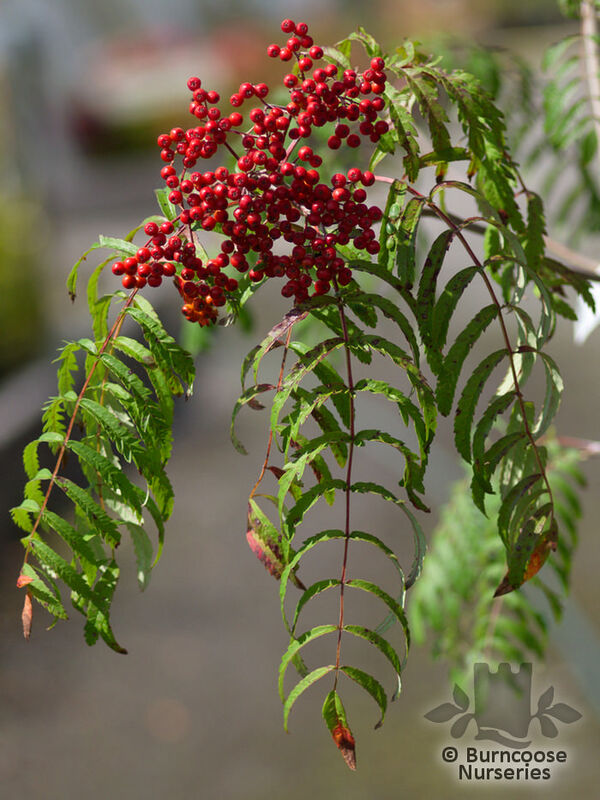 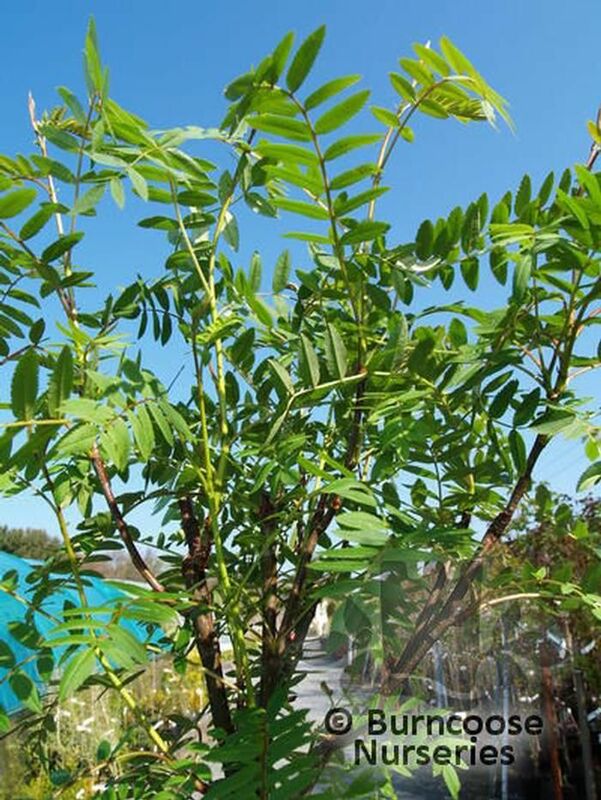 Commonly known as: Chinese rowan, Hubei rowan. 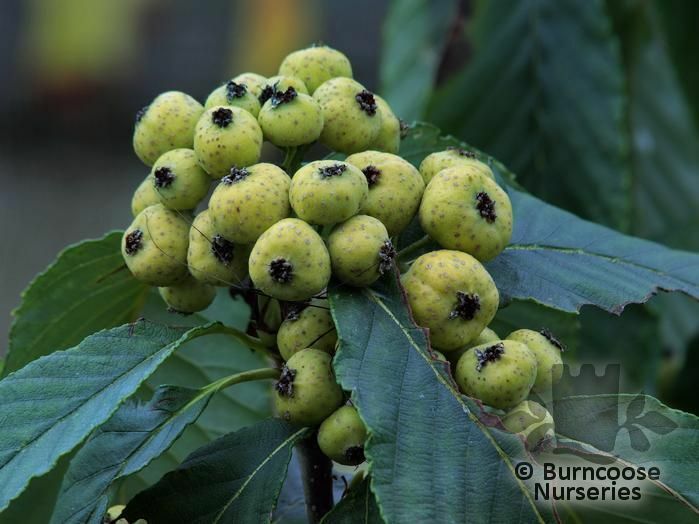 Commonly known as: Swedish whitebeam. 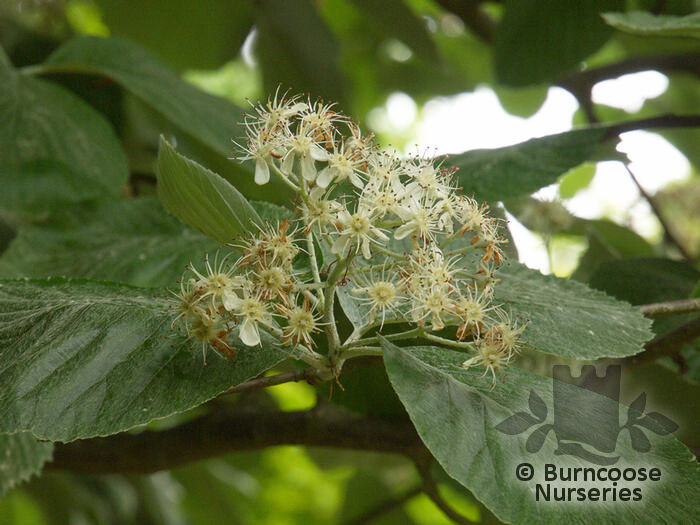 Commonly known as: Tibetan whitebeam. 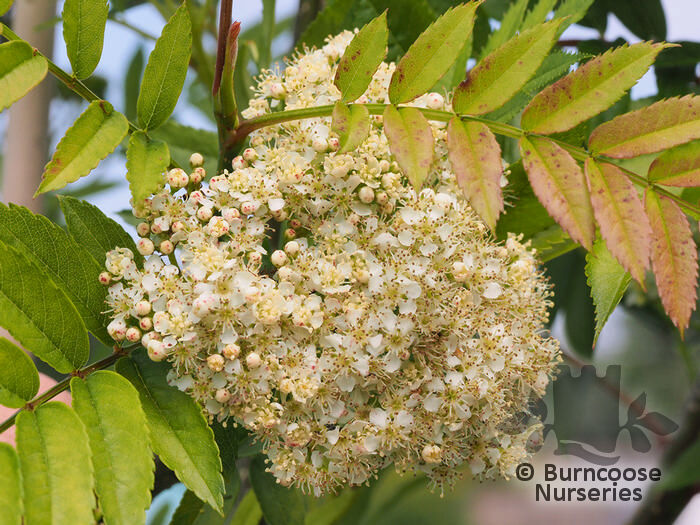 Commonly known as: Chequer(s) tree, Wild service-tree.